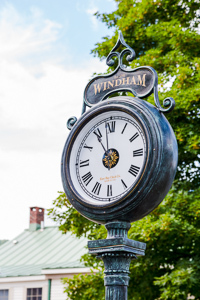 Windham is a special place for all of us. Established as a non-profit in 2004, our mission is to help preserve and enrich the quality of life in Windham and the mountaintop. We’re committed to inspiring lives and enhancing our community through funding for education, recreation, the arts and community initiatives. We actively fund recreation programs that engage local youth, teens and families alike. We also educate people about the Catskill Mountains, the forests, and watershed. 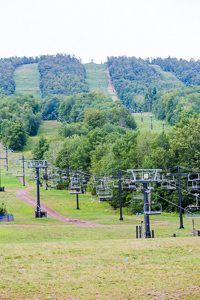 We are proud to sponsor new initiatives such as the Windham World Cup Bike Festival that bring people from around the world to our area. Planning and cultivation for the Windham Path started years ago. Funding from the Windham Foundation made it real. Now a destination for many…. Little League Scoreboard, Yankee Stadium field trips, Playground and Sports Equipment for WAJ Central School, Tennis and Basketball Courts, and uniforms for mountain bike and soccer teams. Our desire to become a performing arts destination is not a pipe dream—it’s a reality, thanks to the Windham Foundation. 23 Arts WINDHAM SUMMER MUSIC FESTIVAL, with funding from the Windham Foundation, bringing major concerts to our mountaintop each year. Scholarship funding allows more than 70 local children to attend the Sugar Maples Center for Creative Arts summer camp. We purchased new lighting for the Civic Centre, sponsored several Sandcastle Contests, performances by the Schoharie Creek Players, the Civil War Historical Encampment and Concert, and concerts and workshops by the Japanese Taiko Drummers, Paul Taylor Dance Company, and Manhattan in the Mountains. Most recently, the Windham Foundation sponsored the Dental Care Van and Clinic for all WAJ Students and their parents. Nearly 100 students and their families were provided dental care. To date, we’ve raised $689,000 through our Hurricane Relief Fund to help local families. Immediately following the flood, we gave emergency aid and funds to rebuild homes and businesses; restore grounds, driveways, and inventory; replace appliances, heating oil and household furnishings. We funded two cleanup initiatives—Stream Team and Spring Clean—hauling away 90,000 pounds of debris, junk cars, and collapsed buildings. In addition, we provided funds to build the Windham Food Pantry and diagnostic equipment for the Windham Family Medical Practice. Ensuring safety for all, we purchased emergency rescue equipment and a generator for the Windham Hose Company. So that Windham’s history may be preserved, we purchased computers, cameras, and indexing equipment for our local Historical Societies.